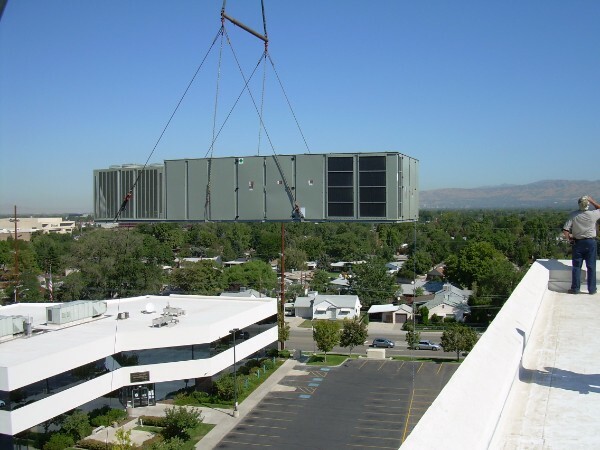 Most HVAC companies in Salt Lake City are well equipped to handle residential HVAC system issues, but it takes experienced HVAC technicians to handle the goliath of the commercial HVAC world — especially commercial heating and air conditioning units. 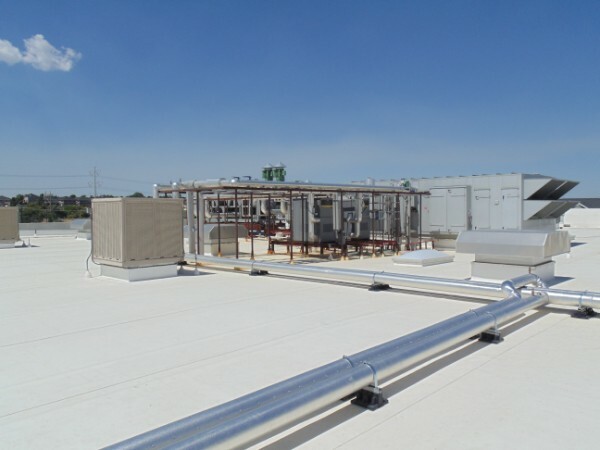 Commercial and industrial HVAC systems are capable of pumping heated or cooled air over thousands of square feet, providing comfort to thousands of people at a single time. When something goes wrong, you’ll want HVAC technicians that you can trust to get the job done quickly and correctly, without spending a fortune. 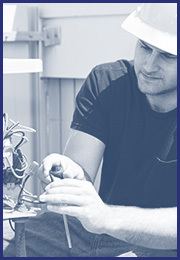 Service Mechanical Controls HVAC professionals are the right service technicians for the job! Salt Lake City is a great place to live, work, and shop — a very active community, year-round. 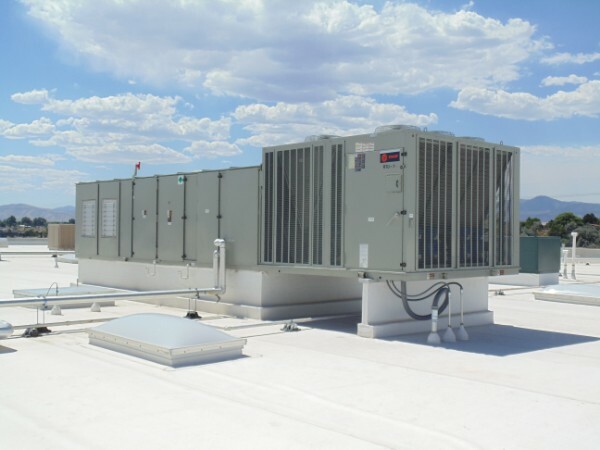 However, with temperatures ranging from blistering desert heat in the summer to frigid snowstorms in the winter, it is critical for any successful commercial business to maintain a functioning HVAC system. As a business owner, you have plenty of things on your plate. From dealing with the logistics of running your business, handling customer service, and dealing with employee management, the last thing you want to do is worry about your commercial heating and cooling units. Not only do you not have the time, but your expertise should be focused on your business, not on the mechanical controls of the building you occupy. That’s why you need Service Mechanical Controls, a professional, trusted HVAC company in Salt Lake City. Why is this important? Because in these industries, maintaining proper air circulation and ventilation — which is what the “V” in HVAC represents — is important to the health of our entire city. 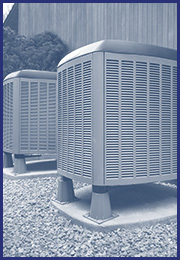 Medical facilities have similar HVAC requirements to any other commercial building, along with a few, additional, unique needs. While some of these unique air conditions are considered in the building and construction phase, specially trained HVAC technicians understand the additional responsibilities required to maintain a healthy commercial HVAC system within the medical community. The main purpose of an HVAC system is to help keep the inhabitants of a building comfortable by making the ambient air temperature reminiscent of a perfect fall day — warm with a slight chill — all year round. For most commercial buildings, this is for comfort. However, with medical facilities, proper temperature control is a matter of public health and the safety of patient safety. 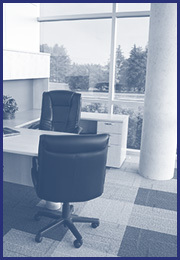 Patient waiting rooms, administrative offices, and other public areas can be maintained at a comfortable temperature. However, areas such as operating rooms, medication storage rooms, and lab and pathology must be kept at temperatures that are well below comfortable to reduce the risk of pathogen growth. Many commercial HVAC systems pump warmed or cooled air in and may recycle and reventilate the same air, without concern, to help reduce energy and lower costs. However, in medical facilities, the ventilation system must operate a little differently to help prevent “sick building syndrome” when airborne pathogens are circulated throughout the building. Additionally, some patient rooms must be equipped with negative pressure ventilation to remove the air in the room, outside of the building, to reduce the transmission of communicable airborne diseases. At Service Mechanical Controls, we are equipped with the additional education and training required to handle all of your medical HVAC needs. Contact us for more information today! We pride ourselves on the ability to help any commercial building with their commercial HVAC needs and ensure quality and expertise in everything we do. We know that commercial HVAC repair can get expensive, so we offer commercial heating and cooling service agreements so that you can keep your system running efficiently, as well as keep costs down. HVAC maintenance contracts are an easy way to set it and forget it, with regard to your heating and cooling service needs. Our maintenance service agreements offer you year-round routine maintenance appointments to clean and inspect your commercial heating and cooling systems, as well as conduct any repairs that are required. The benefit to the HVAC maintenance contracts is we take care of it all. No longer will you only have work conducted when your HVAC system is malfunctioning — we will work hard to prevent that from ever happening! We will inspect and clean your commercial heating system long before you need to use it for the season and will inspect and clean your commercial air conditioning and ventilation several times to ensure your commercial or industrial building stays comfortable and functional. If you’re looking for premier commercial heating and cooling services in Salt Lake City, then give Service Mechanical Controls a call today! When you manage and run a business, the only thing you should be worried about is making your business appealing to attract clients. 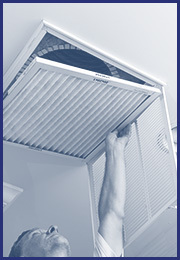 The last thing on your mind should be the functioning of your commercial air system. When it comes to your commercial heating, ventilation, and cooling (HVAC) systems you need to feel confident that it will remain operating to keep your business at the optimal temperature for your clients. In Salt Lake City, you know that a properly functioning air conditioning unit is no more important than effective heating because, here, you need both almost equally! You need an HVAC contractor that you can trust to keep your business comfortable all year round. Finding the right team can seem overwhelming when this is not your specialty, so to help make things easier, here are some things that are important to look for in a commercial HVAC contractor. Every local HVAC company will offer a few services ranging from simple residential repairs to the full gamut of everything heating and cooling. While some services offered may not be relevant to your situation, it is important to find an HVAC contractor who can meet all your needs. At Service Mechanical Controls, there is no job too big or too small, we do it all! From simple repairs to full installation, and everything in between. We offer HVAC maintenance contracts to help ensure that you don’t find yourself needing our emergency HVAC repair services. There is nothing wrong with a family owned and operated HVAC company who is capable of meeting the needs of its clients. However, to ensure that you are getting guaranteed service, look for a company that is licensed and staffed with HVAC technicians who are certified. Your HVAC system is easily one of the most expensive systems in your building and you want to ensure that those who work on it are licensed and trained to do so. This gives a sense of comfort that the job will be completed as expected. Ensuring the company is also bonded and insured helps protect your company from liability in the event that a contractor is injured while repairing your equipment as well as gives you peace of mind that there is a way to recover funds or services if the work is not done to standard. At Service Mechanical Controls, we are licensed, bonded, and insured and we employ highly skilled HVAC technicians who are required to continue their education and training throughout their career. Any HVAC company that is worth investing your money in will offer inspections and evaluations of your current commercial HVAC system or the building in which you plan to have an HVAC installed. While a simple evaluation should be free, some companies may charge a nominal fee for a detailed inspection — ask if that can be applied toward service and repair fees later. Once the evaluation is complete, they should be able to provide you with a detailed list of recommendations and a comprehensive cost list. At Service Mechanical Controls, we are dedicated to providing the best HVAC service in Salt Lake City, and that begins with a free estimate! Don’t take the word of the HVAC company, ask those who have used their service! Angie’s List is a popular resource as well as the input of other business owners in your vicinity or industry. When gathering input, ask about the service, prices, and quality of the HVAC technicians who complete the work. At Service Mechanical Controls, we pride ourselves on providing exceptional service to all of our clients. Whether you run your business out of your apartment or a commercial retail store in the heart of downtown Salt Lake City, we can service your entire HVAC system. Contact us for your free estimate today! Salt Lake City, Utah is home to some of the most gorgeous sites and is nestled between the majestic Wasatch Range and the Great Salt Lake — its namesake — and is known for its hot summers and cold, snowy winters. This unique climate and breathtaking beauty is what draws people here. Winters are snowy and cold, perfect for outdoor winter sports, such as skiing and ice skating, and the summers are full of sunshine and warmth, making it perfect for exploring the canyons and sand dunes. These temperature extremes make a properly working HVAC system important all year round! While many areas of the country may get away with having either heating or cooling, Utah residents know that both are necessary. The beautiful, dry desert and the below freezing winter temperatures do create some unique situations for HVAC systems in Salt Lake City. Summers in Salt Lake City can reach, and maintain, triple digits for weeks at a time. While we may be fortunate to not have to deal with the mold and other pesky side effects of the humidity found in coastal southern states, we do have to deal with the side effects of the brutality of the desert. Dry, desert heat and the intense rays of the sun are relentless on living things as well as structures. As far as your as your commercial cooling system is concerned, it should be inspected for damage caused by heat and should be protected from sun damage as much as possible. Lines can bake in the sun and become brittle and crack. Prior to running your commercial cooling system for the year, you should have it cleaned to remove settled dust, and then again at the end of the season for the same reason. 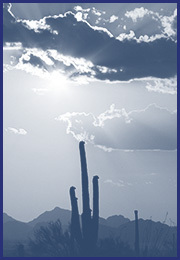 Filters should be changed regularly to prevent a buildup of desert dust and debris obstructing airflow. Not only can blockages make your cooling system work less efficiently, the extra effort it must use to compensate for dirty filters can shorten the lifespan of your commercial air conditioning system considerably. If you own a business that relies on a constant temperature to not only make your clients feel comfortable and welcome, but also wards off harm to your product — vegetation, food, animals, or other temperature sensitive items — it is more than just a luxury to ensure that your commercial cooling system is operating at its peak potential. To help avoid problems, have your entire commercial HVAC system inspected and maintenanced routinely. Ideally, you should use an HVAC maintenance contract to ensure everything is taken care of as it should be. We are fortunate enough not to experience month-long episodes of sub-freezing temperatures during Salt Lake winters, but the milder temperatures than our neighbors to the north allow for greater, wetter snowfall and fluctuating temperatures that cause a continual cycle of freezing and thawing. This continual freeze-thaw cycle can cause damage to mechanical controls of all types — including your commercial HVAC system. It is important to have your HVAC system inspected regularly to check for cracks or breaks in the lines that can cause catastrophic damage when not caught early. When snow or ice thaw, even a little, it can cause condensation buildup that will refreeze once the temperature falls again. Unfortunately, even the smallest amount of freezing expansion in even the smallest of cracks can escalate problems quickly. You can help avoid some of these problems by de-icing your commercial HVAC system or by protecting it from the freeze-thaw cycle. If your commercial heating system is not properly maintained, it could easily fall prey to the unpredictable climate that Salt Lake City is known for. To keep your commercial heating system performing well, be sure to have routine inspections done and stay on top of maintenance. To help you keep up with routine commercial heating maintenance, you can subscribe to an HVAC maintenance contract so that you can carry on with business and let the HVAC professionals worry about the health of your commercial heating system! During mid-winter in Salt Lake City, strong areas of high pressure often settle over the Great Basin, which causes strong temperature inversions — or warm pockets of air amidst the cool winter around it. Again, in the summer, this phenomenon occasionally happens in July and August. These tropospheric changes cause air stagnation and a thick smog to form. This smog often covers the valley, lasting from a few days to several weeks and causes some of the worst natural air pollution levels in the United States, reducing the quality of air to unhealthy levels. 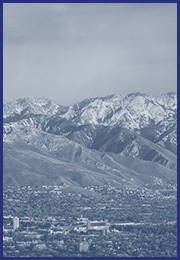 In fact, Salt Lake City is home to a significant amount of both ozone and particulate matter in the air. 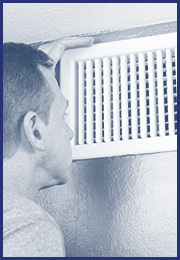 This means a few things for your lungs as well as your commercial HVAC system. Particulate pollution can be dangerous for living beings when the particulates lodge or collect in the respiratory system. 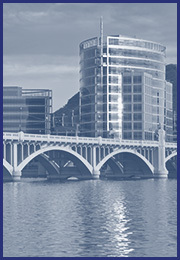 The same issues exist in your commercial HVAC system. When natural pollution in the form of air particulates are filtered out in your ventilation system, it can quickly cause your HVAC system to be overwhelmed and dirty quickly. The good news is, you have filtered out these harmful pollutants and are providing better quality air inside your commercial or industrial building than the fresh, outdoor air, however, it means that your HVAC system can become clogged and overworked rapidly in these times of heavy smog. It is always a good idea to ensure routine inspections and maintenance are performed to identify issues and prevent damage. A commercial HVAC maintenance contract is the best bet for ensuring your commercial HVAC system remains in tip-top shape, all year round. Give us a call to schedule your maintenance today! Whether you own the commercial building your business resides in or you lease the property, you should be tuned into the status and function of the commercial HVAC system. 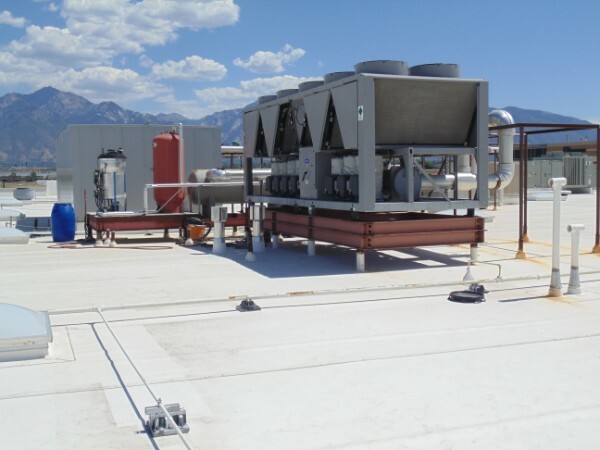 Whether the unit is an industrial rooftop HVAC unit or a multi-building commercial heating and cooling unit, your local commercial HVAC service company in Salt Lake City can help you maintain and repair any commercial HVAC system. Maintaining a healthy commercial heating and cooling system is important for more than just a business owner and employee comfort, it can also affect safety and profits. It is true that one of the biggest benefits to having and maintaining a functioning commercial heating and cooling system is that it does wonders for businesses. HVAC systems heat or cool inside a store or shopping center, making shoppers more comfortable, and thus, entice them to extend their shopping stay. It is also true that adjusting the temperatures can drive your customers to spend more money at your establishment. However, a properly functioning HVAC unit can contribute to the overall safety of your business as well. Take into consideration employees who spend their days in your building as well as the goods and services you store and provide. An ill-functioning HVAC unit can cause unsafe temperatures if your business contains something that is temperature sensitive. A dirty unit can also contribute to the negative health of your employees and guests. If you fail to properly maintain your current HVAC system, you may find yourself with a broken system that must be repaired and replaced, costing you the price of your new unit and the cost of lost business. Proper commercial HVAC maintenance is more than a matter of comfort and convenience and is a matter of safety and fiscal responsibility. In short, responsible HVAC maintenance is just good business practice. For a commercial HVAC service company in Salt Lake City, trust the experience of the HVAC technicians at Service Mechanical Controls!